There’s a lot of talk right now about Nokia and its Windows Phone 7 handsets. Specifically, it is the newly released and much hyped Lumia 900 which is seeing most of the headlines and clicks right now. The handset itself is expected, or at least hoped, to signal a return to form for Nokia and to offer Microsoft a way back into the minds of US smartphone buyers who have been happy to lean towards iOS, Android or even BlackBerry over the last few years. While the Lumia 900 is the subject of many a review right now – not all of them good, just ask The Verge’s Joshua Topolsky about that – that isn’t the model I’m here to tell you about. I’m here to tell you about the handset that brought Windows Phone 7 to the world of Nokia, and is currently the top-of-the-line Lumia that is available outside the United States. Those paying attention will have realized I am talking about the Lumia 800, Nokia’s first Windows Phone 7 device. Arguably the Lumia 900’s older brother, the handset has one big thing in common with the Lumia 900 – it was seen as nothing short of the second coming of Nokia, and just the same as the 900, it disappointed while still being a very good smartphone. But let me back up a second before I qualify that statement. First off, and to put everything into context, there is something you should know about me. If you’ve been reading closely over the last year or so, then you’re probably already aware that I own an iPhone. I’ve had every iPhone bar the 3GS, and I’m very happy with my current 4S. I like iPhones. I’ve had Android phones in the past, too. The most recent was a Nexus S from Samsung, and it was OK. Not great, just OK.
I’ve even had Windows Phone 7 handsets before, with the HTC HD7 the pick of the bunch. Again, it was OK. So, I waiting for the Lumia 800 to arrive with great intrigue. The HD7 had whetted my appetite for Windows Phone 7, because in all honesty, I enjoyed the OS. It was a breath of fresh air, especially on the back of my Nexus S experience. The hardware, however, left a lot to be desired. When the Lumia 800 arrived I decided to go full bore with my little experiment. My SIM card came out of my iPhone and went into the Lumia, with the aim of it not returning to its home for a full two weeks. Off I set on my mini adventure, Nokia wunderphone in hand. Now this is not going to be a full, 5,000 word review of the Lumia 800 because, frankly, everyone’s read enough of them since the handset’s original release. It got good reviews for good hardware, but the software was lacking. This sounded like the opposite of my HTC HD7 experience, so I was looking forward to spending some time with the Nokia. The first few days were pretty good. The novelty factor was certainly in full effect, and I can honestly say this is the best Windows Phone 7 handset I have ever used. I would possibly go so far as to say it is better than any Android handset I have ever used, but seeing as I’ve not had my hands on any of the latest Ice Cream Sandwich smartphones yet, then I’m not going to imply that stands for much. My real problem, and I feared this would happen, is that it’s not my iPhone. I’ll explain that a little further. Having used iPhones for years, I have built up an almost symbiotic relationship with it. I know all my apps, I know how they work, and they work how I want them to. I have an app that will allow me to do just about anything that I could do with my MacBook, should the need arise, including managing a home server over SSH, FTP or VNC. There may be apps that do such things for Windows Phone 7, but I didn’t find any good ones, if any at all. That may sound like a very narrow example, but it is an example nonetheless. My main issue, working my way through those two weeks without an iPhone, was that I just didn’t feel as if I was connected to everything. I missed Instagram. The Facebook and Twitter apps felt alien to the point of not wanting to use them. These Live Tiles I hear so much about didn’t do what I had hoped and the Metro interface grew old once the novelty of all those transitions wore off. In short, the whole experience felt gimmicky, but with little substance. All this is a real shame. 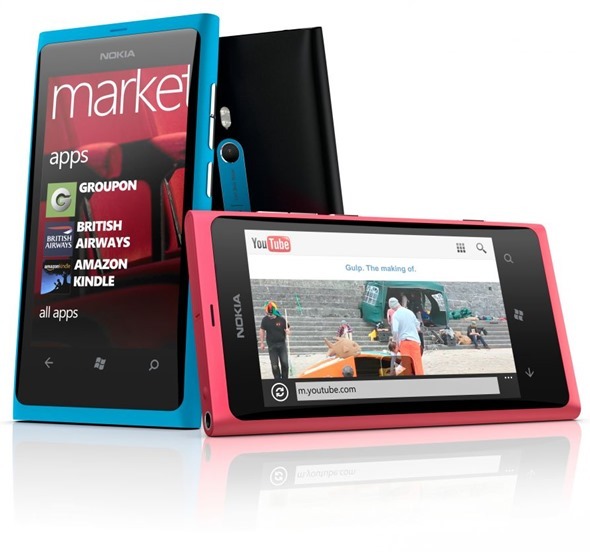 Nokia’s hardware is undoubtedly gorgeous, and the Lumia 900 is no different by all accounts. The issue is that despite throwing itself into Windows Phone 7, Nokia is still lacking a real mobile OS that will claw people away from iOS and Android. Apps speak volumes for a platform these days, and Windows Phone 7 just doesn’t have them in large enough quantities and of enough quality to really compete. The end result was a disappointing one. I didn’t get through my two weeks with the Lumia without having to admit defeat and return to my iPhone. As much as I wanted to love the Lumia 800, I just couldn’t live with it, and that was the end of that. One thing that is worth nothing though, is that I am what people would call a power user. Most smartphone owners won’t be doing the things I do on a daily basis, and with that in mind I do wonder whether Windows Phone 7 may have a home in the market yet, just not in my home. Less nerdy types may enjoy all those transitions, and Nokia’s own apps add value to be sure, just not for me. To be clear here, the problem I have with the Nokia Lumia 800 is not so much with the handset itself, but with the software. 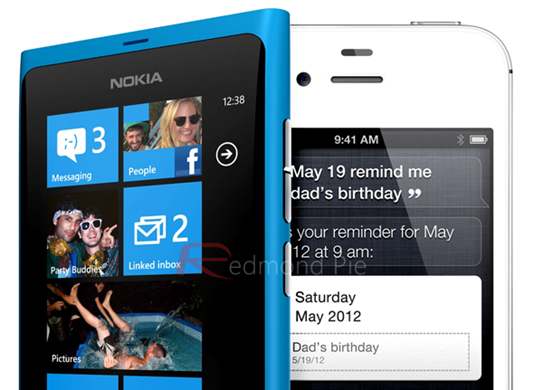 Windows Phone 7 has improved greatly since the early days, but has it improved enough to really compete? I fear not. If you are a Windows Phone 7 fan though, the Lumia 800, and I suspect the 900 too, are well worth a look. If you’re an iOS or Android owner though, you’ll probably want to look elsewhere. And that’s the real shame. For discussion on this topic: Check out the threads on Facebook or Google+.